Infamous amongst Doctor Who fandom, ‘Doctor Who Meets Scratchman’ was originally conceived as a project that would see the Time Lord – specifically Tom Baker’s incarnation – move to the big screen. Dreamt up by Baker and Ian Marter (better known to fans for playing companion Harry Sullivan) in various disreputable establishments around Soho, it promised to be filled with trippy 70s moments and give The Doctor his most evil foe yet, with Vincent Price eyed for the role. But the gods of development hell and the release of a little sci-fi film called Star Wars rendered the project dead. In a few scant years Baker would regenerate into a nice man with an open face and The Doctor would stay away from the cinema. But in the world of Doctor Who nothing stays dead forever and Scratchman is now resurrected as a novel written by the Fourth Doctor himself. The Doctor, Sarah Jane and Harry arrive on a small Scottish island in search of a picnic. But, unsurprisingly, The Doctor and company don’t have that much time for a cup of tea and a slice of cake before something evil rears its rotting head. As they find themselves under attack from malevolent scarecrows, the trio take refuge in a church with the rest of the island inhabitants. As The Doctor tries to work out what is going on – whilst trying to save those around him – he discovers the truth is far more terrifying than he first thought. Soon the stage is set for The Doctor to face one of the most evil people of all creation in his own realm and the universe will be forced to face its fears. This is literally a book of two halves with the first section of the story coming straight out of the ‘Hinchcliffe era’ of Doctor Who – a location under siege from hideous monsters with a dark sense of horror that looms over everything . It’s all done quite effectively with a number of tense set pieces – such as Sarah’s sojourn into the TARDIS with an evil scarecrow following her – that keep everything rolling along excitedly. The portrayal of The Doctor is interesting, particularly as it’s done in the first person – something that was verboten in the beloved Target range of Doctor Who books. Normally this would be disconcerting – one of the key elements to The Doctor’s character is that he’s one step ahead of everyone else and letting us hear his thoughts does sometimes negate his inherent mystery. And that was crucial, especially to Baker’s incarnation – there was the strangeness, the obviously alien. He loses some of that here. But the fact that the book has Tom Baker’s name plastered all over it (you have to look a little bit deeper to find out that the book was co-authored by James Goss) there’s a certain amount of leeway here – the book gets away with it because it’s at pains to let you know that it’s written ‘by’ The Doctor. The story’s framing device – with The Doctor defending his actions in front of his fellow Gallifreyans (The Trial of a Time Lord?– it’ll never work….) – also allows a certain amount of narrative sleight-of-hand regarding The Doctor’s character. The second half of the book goes into full-on, trippy bonkers mode. With The Doctor and friends in another dimension – which may or may not be Hell – everything takes on a distinctly 70s vibe with a series of surreal encounters and battles. It’s in this half of the book where the narrative’s origins as a film script are most evident. A battle within a giant pinball machine would probably translate well to the big screen. It’s all big, bold and brassy with a dash of existential angst thrown in for good measure. One can see why Star Wars finally put the kibosh on the entire thing – the budget that would have been required to make Scratchman look anything but cheap would have been out of reach. On the page these sequences are fun though they tend to be densely packed. It adds a certain chaotic charm to proceedings though it sometimes gets a little too muddled and the constant pace sacrifices any decent characterisation. Even Scratchman – heavily foreshadowed as the greatest foe The Doctor has ever faced – isn’t given that much to do beyond ‘I want to take over the world’. 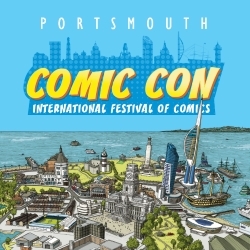 Some of the events in the book have been overtaken by the show itself – thanks to Russell T Davies, fans have already seen The Doctor taking on The Devil and evil scarecrows whilst traversing parallel worlds. 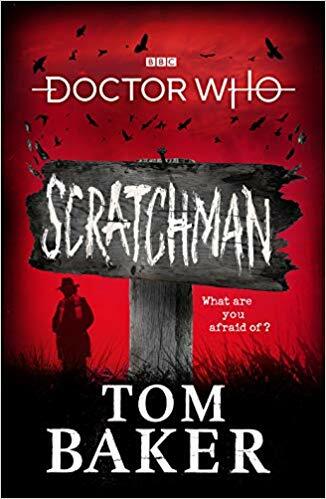 Scratchman does little to break new ground and, with its status as a curio within Doctor Who history, does seem mainly aimed at Doctor Who fandom. That said, there’s little ‘fanwank’ on offer (though there is an extended cameo by a familiar face) and it’s more a tonal remembrance of things past and a tiny glimpse into what could have been.